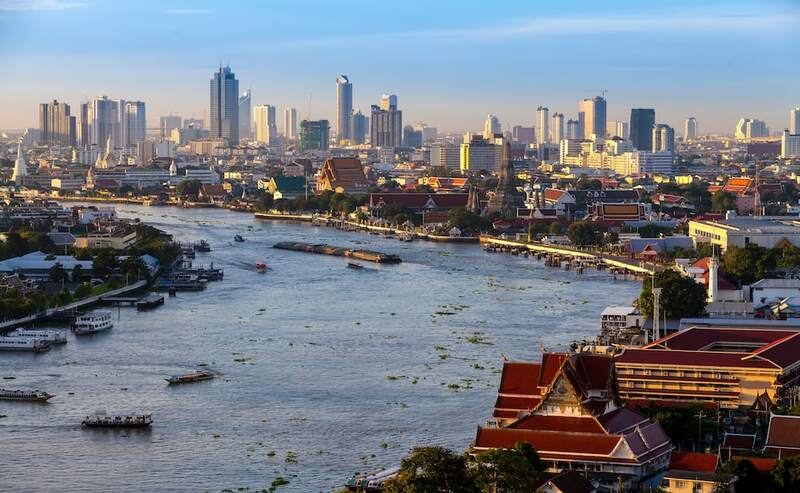 Bangkok is one of the largest cities in Southeast Asia with a sprawling urban area that encompasses a vast population and that spreads out over a seemingly impossible land mass. 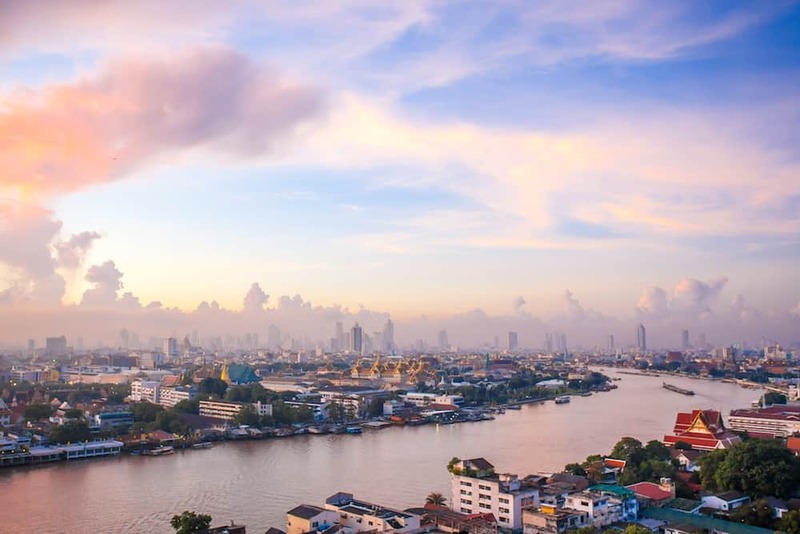 48 hours in Bangkok might not seem like such a long time to discover Bangkok, given its extent and the number of different tourist attractions waiting to be discovered but 48 hours in Bangkok can make for the perfect stopover in the city. 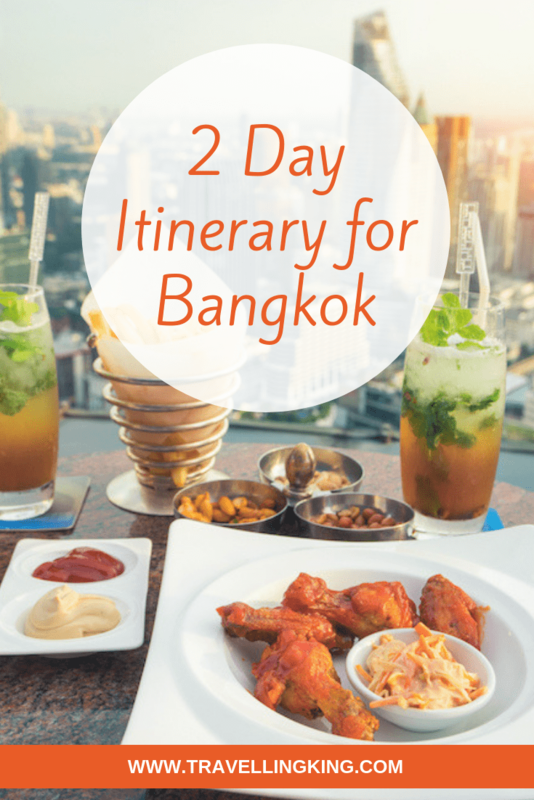 Enjoy the endless Thai charm, the delicious cuisine and the endearing Buddhist culture and history of Bangkok. 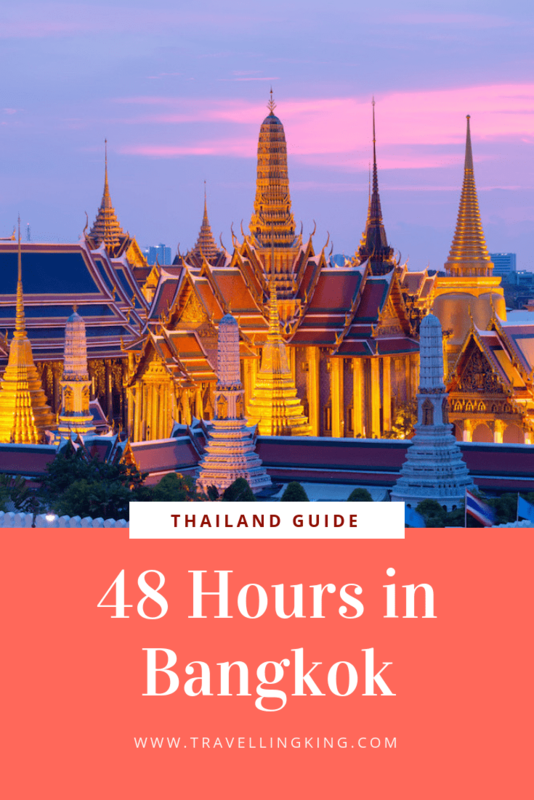 Here’s the best way to spend 48 hours in Bangkok, our perfect 2-day Bangkok itinerary for visiting Thailand’s capital and largest city. 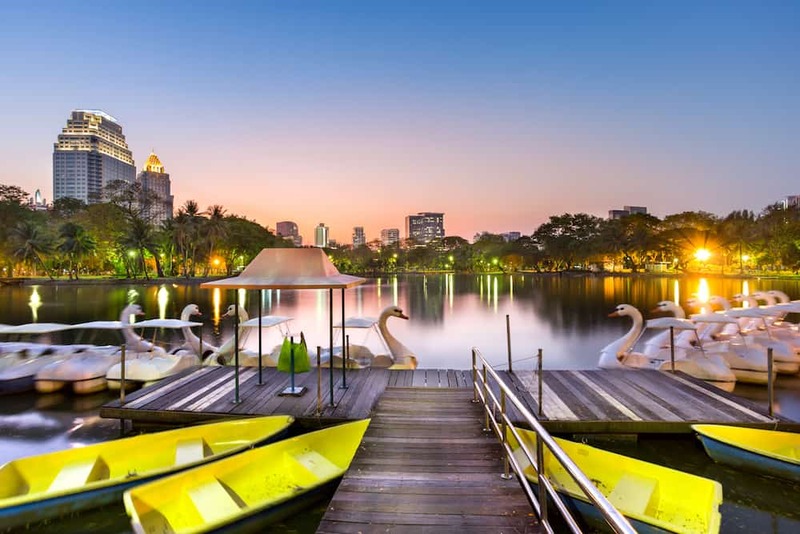 Start your first full day in Bangkok with an early start and a lovely stroll through the beautiful, green Lumphini Park. Enjoy the crisp outdoor air before the heat of the day begins to set in. This is one of the city’s favourite outdoor spaces with a broad lake and many walking trails to discover. When things to start to heat up, head on next to the Bangkok National Museum, where you can learn more about the unique and enthralling history of the capital of the Thai nation. As midday hits, take a cruise along the river to cool down in the shade of the boat’s canopy. Hop on and off the Chao Phraya River Express, to see some of the city’s best and most iconic attractions. Spend the afternoon exploring the river and the many magnificent temples and palaces that are all found within an easy walk of the piers. 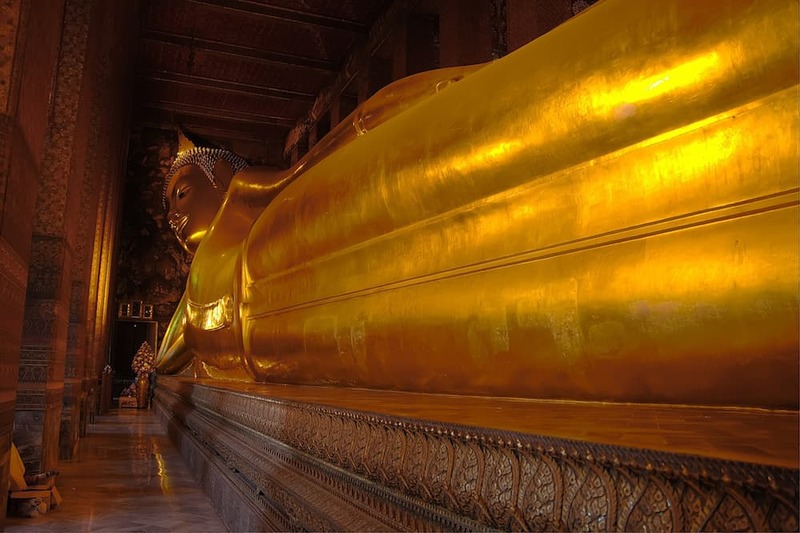 Call in at Wat Pho, known for its enormous reclining Buddha then stroll through the grounds of the Grand Palace and see a few of the rooms that are open to the public. If you have time before the sun sets, call in at Wat Phra Kaew and Wat Arun before travelling to nearby Chinatown to enjoy some of the city’s best Thai cuisine and street food at Yaowarat Road. If you have some energy left after a long first day in Bangkok then enjoy an evening drink or two at Soi 4, one of the liveliest bar streets in the city. 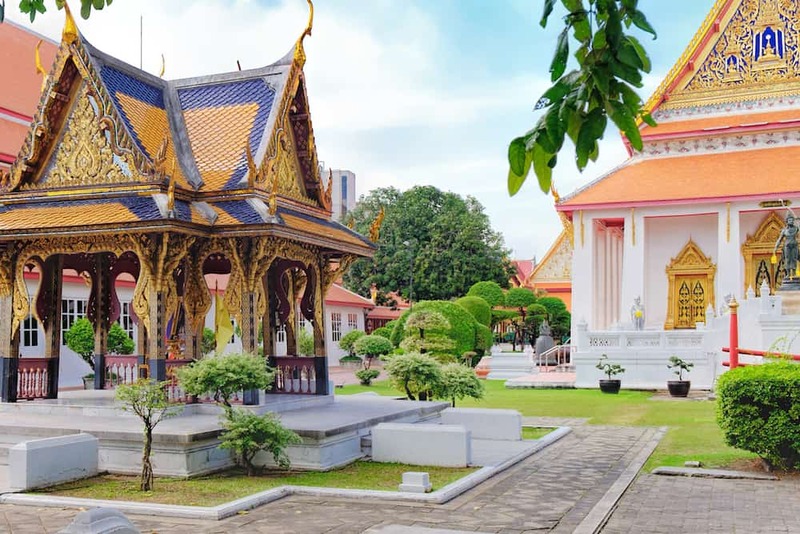 After experiencing the best of the culture and history of Bangkok on your first day, the second day of your itinerary will see you travelling outside the city centre. Start early again and visit the famous Maeklong Railway Market, where traders set up their stalls on the train tracks and quite literally shift everything to the side when the scheduled train rolls through. It’s quite the unusual experience and an excellent chance to enjoy some local food, refreshments and purchase some souvenirs. For lunch, travel to Bangkok’s Floating Market. Here you’ll discover the enchanting scenes of floating market stalls and waterborne traders. Take your own small boat across the water and hail down the food vendors for a spot of lunch of delicious Thai food. 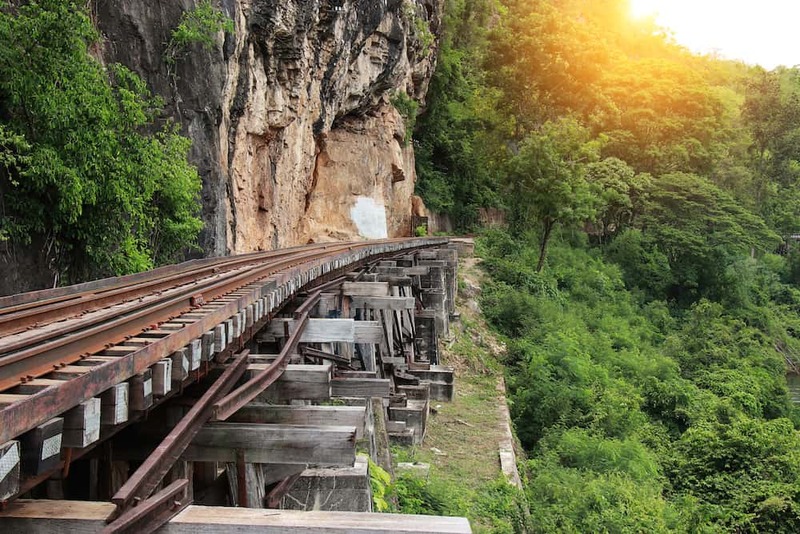 Spend the afternoon travelling to Kanchanaburi and take in the sombre but essential sight of the Death Railway, built by laborers and prisoners of World War II. The famous Bridge over the River Kwai is beautiful but the story behind it is not entirely so aesthetic. 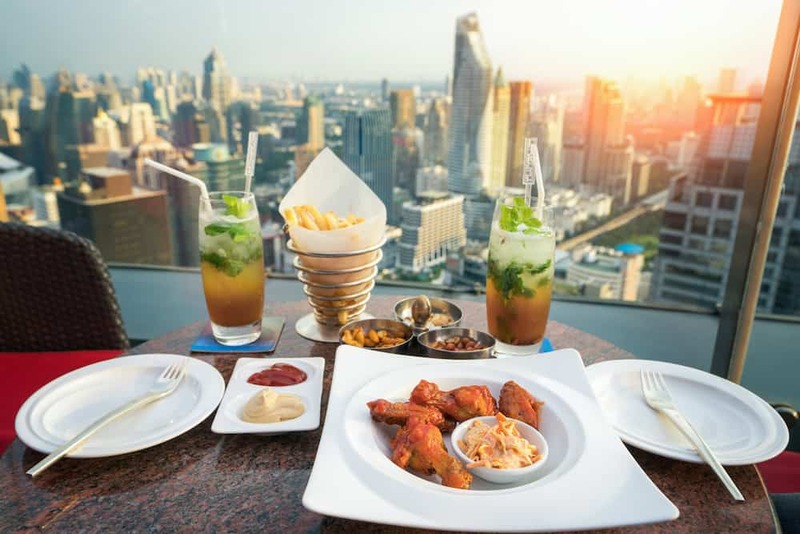 Travel back to Bangkok for the evening and enjoy dinner and drinks at one of the city’s many sky bars and restaurants, for beautiful panoramic views over the city of Bangkok below you. As a city destination, Bangkok can be visited any time of the year. The city experiences constant hot temperatures with the occasional downpour to, which makes it a little muggy. November through to March is the driest time to visit but it’s also the busiest, as a lot of tourists arrive over the Christmas period and then travel onward to the Thai beaches, as this is the best time of year to visit the coastline. April is one of the hottest and most humid months of the year and can also be an exciting time to visit because as you may catch the exciting and unusual Songkran Festival, which brings in the Thai New Year with one huge water fight on the streets. 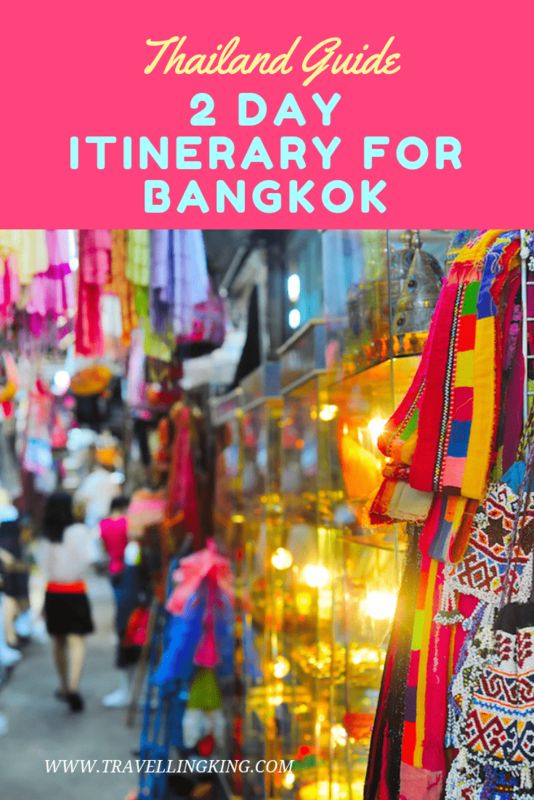 The best way to see the city is to spend a weekend in Bangkok as this is when you will find most of the markets in full swing. Try to get up and out early, not only to pack in as much as you can but so you can spend the cooler, quieter hours of the morning visiting the busier tourist sights. It will make your experience in the city just that little bit more comfortable! Lumphini Park is one of Bangkok’s best outdoor park, It’s a nice place to spend a morning or evening walking around or exercising or just enjoying the parkside scenery. You can hire duck pedal boats in Lumphini park to zip around the lake. Wat Pho is one of Bangkok’s most iconic temples. Also known as the Temple of the Reclining Buddha, this is one of the most important and oldest Royal Temples in the city. Found on the opposite side of the river to Wat Pho, the Grand Palace is the current residence of Thai Royalty. This is a grand and lavish building and although you can’t go in and see all of the palace, so sections are open as a museum to visitors. One of the best and most informative museums in the country, the Bangkok National Museum which has an excellent selection of artifacts and exhibitions that showcase Thai history and the history of the Thai Capital. For history lovers, this is one of the best things to do in Bangkok. Don’t forget to make time for a river cruise, the express boats continually go up and down the river. You can take an inexpensive ferry for at least an hour’s worth of cruising, not including any stops, in each direction. Admire the skyline, the gleaming, golden temples and palaces and stop off wherever takes your fancy. 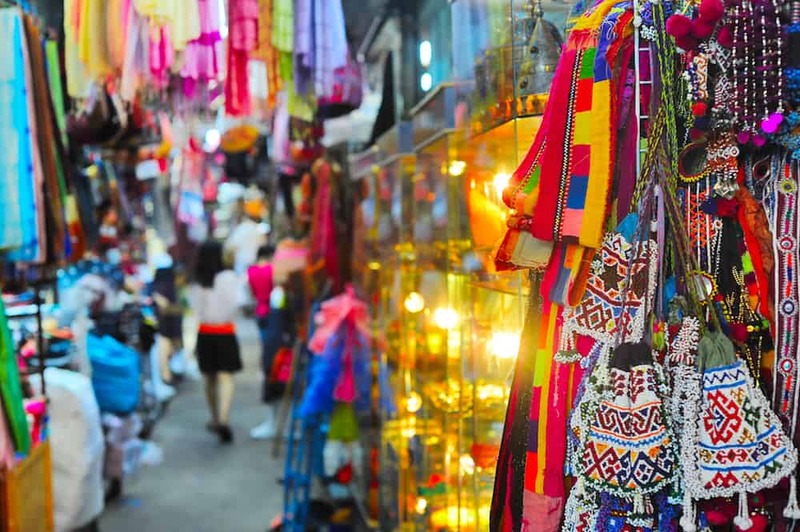 Bangkok is the perfect destination for people who love to shopping. 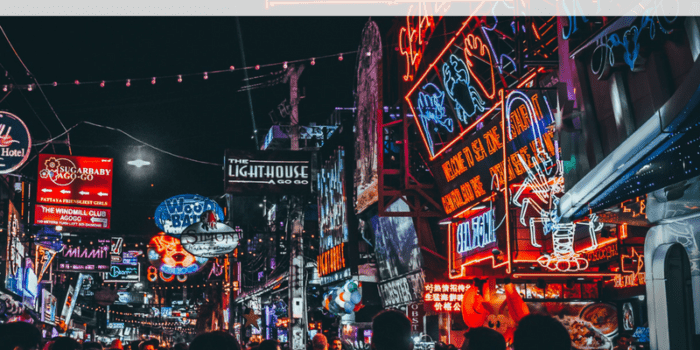 Visit the busy night markets such as the Chatuchak weekend market for some excellent street food, tour the floating market by boat for cultural immersion and stand in awe at the Railway Market. Of course, modern Bangkok has a lot of indoor shopping malls such as the Siam Paragon too. These are a great place to find bargains and escape the heat of the city. Deciding what to see in Bangkok in just 48 hours can be tricky and there is only so much on offer in the city. For something a bit more unusual, head outside the city to Kanchanaburi, where you can learn more about the darker side of World War II history in Thailand and see firsthand the infamous bridge that inspired the film, The Bridge over the River Kwai. There are a few different districts and areas to stay within Bangkok and each has its own unique character, style, and attractions. Here are a few suggestions on where to stay in Bangkok for 2 nights to find some of the best places to stay. Airbnb is also very popular in Bangkok, get a $40 in travel credit when you sign up, using this link (Only for new Airbnb guests). 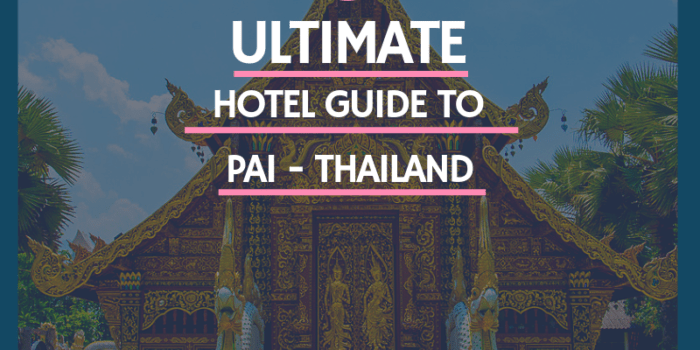 We have also written a guide on Where to Stay in Bangkok – A Complete Guide. 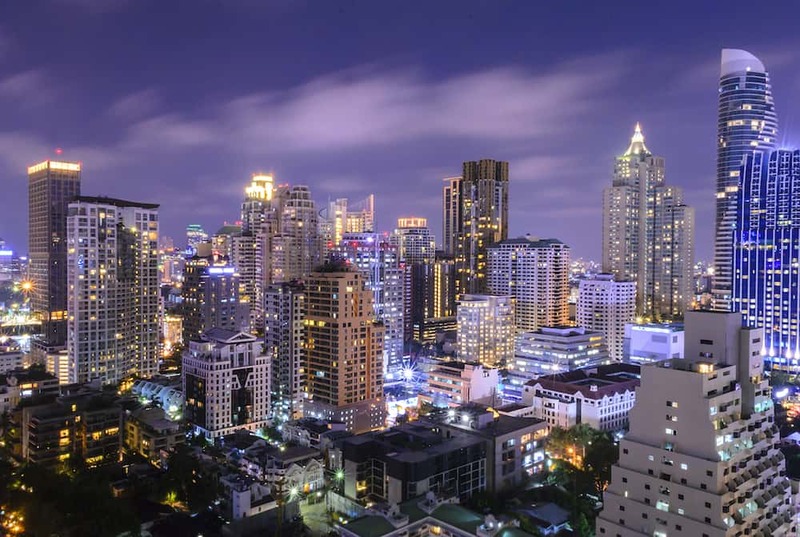 Sukhumvit is the modern heart of Bangkok. This is one of the newest, most happening districts in the city, a place full of bars, businesses and endless shopping malls. The Bangkok Skytrain runs along the length of this long, long road and makes for an easy way to get around Bangkok. Some of the best hotel choices here include the Movenpick for mid-range travellers or for those looking for some luxury then the Bangkok Marriot in Sukhumvit is one of the best hotels in the entire city. Sukhumvit isn’t always the cheapest of locations to be based but if you’rere looking for excellent accommodation options, then this is the area for you. 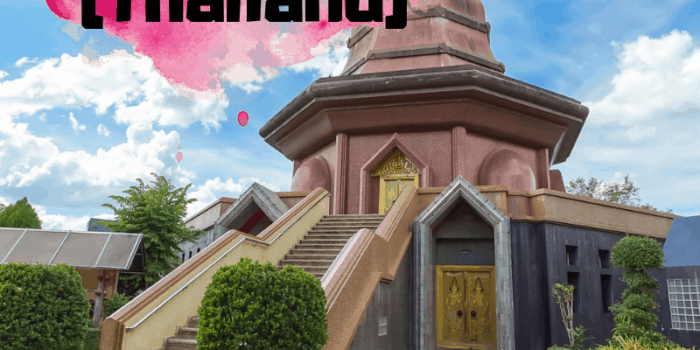 The Old Town or Banglamphu District is the historic centre of Bangkok and is an excellent place to base yourself if you’re a first time visitor to Bangkok. The river is within walking distance of this area, as are many of the temples and markets. This is the perfect place for backpackers as there is are a multitude of hostels and cheap hotels available, many of them clustered around the infamous Khao San Road. Luxury travellers have plenty of choices to and may want to consider the Riva Surya, an elegant place to stay in the Old Town Bangkok. For a relaxed stay in Bangkok, a great place to stay is along the Riverside. Enjoy the fresh evening air and be within easy reach of the most iconic temples in the city. 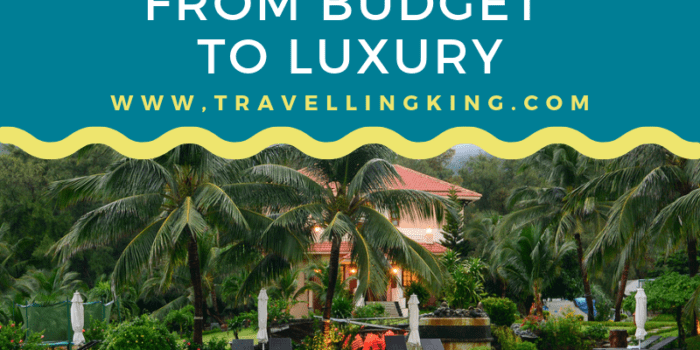 While budget travellers may struggle to find choices in this prime area, mid-range and upmarket travellers will have a lot of excellent hotels to decide between. 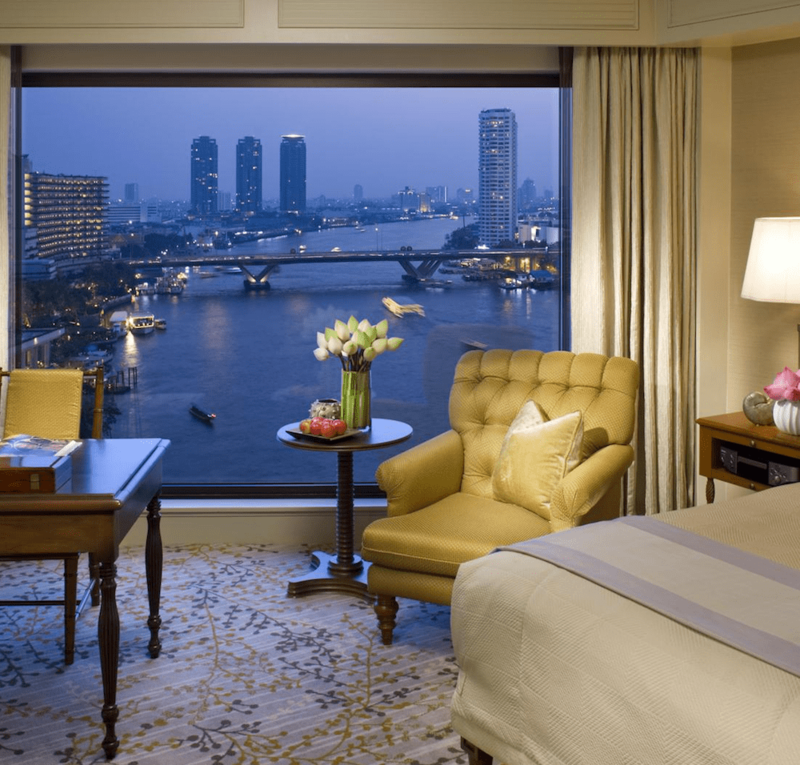 The Oriental Hotel Bangkok is a unique, boutique option while the Anantara Riverside Resort is one of the fanciest options in Bangkok. 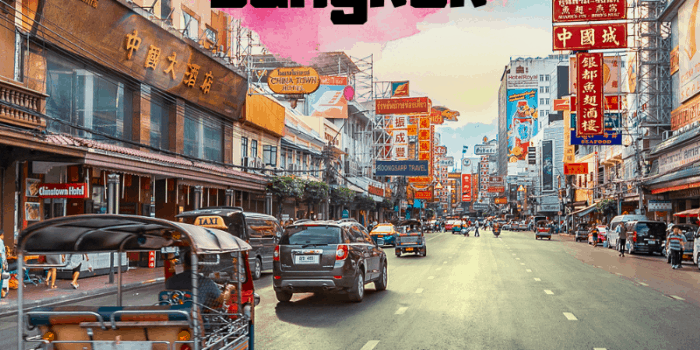 When you’re arranging your Bangkok itinerary, the sheer size of the city can make it seem like a daunting place to visit. Luckily though, there are plenty of fast, efficient and at times unusual methods of transport to get you around. From the main international airport or there are relatively inexpensive taxis available at arrivals, but by far the cheapest and the quickest route to the city itself is on the Airport Rail Link. This high speed overground rail system can take you to the city centre in around 25 minutes, where you can then connect easily to other parts of the city on the MRT Bangkok system. The extensive MRT system is a fantastic way to travel around the city, as it connects most of the major districts, it’s easy and cheap to use. The Skytrain connects the MRT to even more areas of Bangkok, providing an all-encompassing transport network for visitors. If you are looking for a more authentic Thai travel experience though, then you will find there are thousands of local Tuk-Tuk drivers looking for fares in the city. 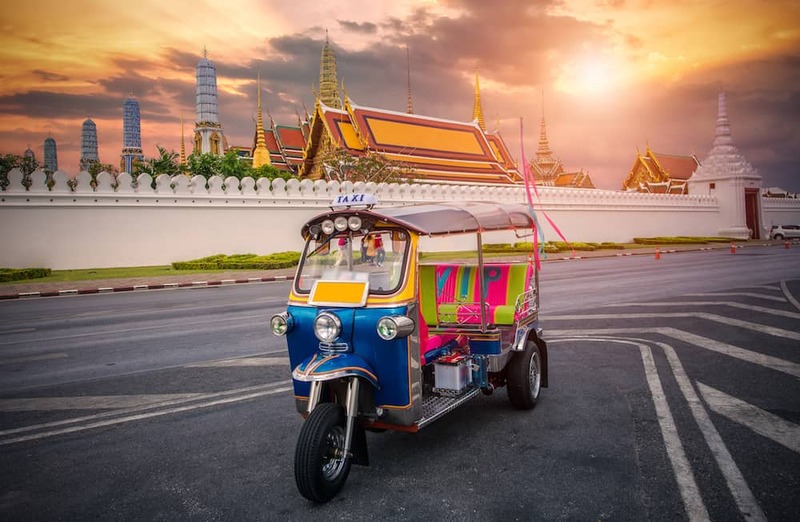 These colourful, three-wheeled vehicles can get you where the public transport can’t and usually, the drivers can even be hired for the entire day to get you around in style. Remember though, all prices are negotiable, so it pays to haggle. Along the river is another way to travel is via the Chao Phraya River Express. This relaxing public ferry takes locals and visitors along the length of the capital’s main river and there are plenty of stops to make and sights to see along the way. 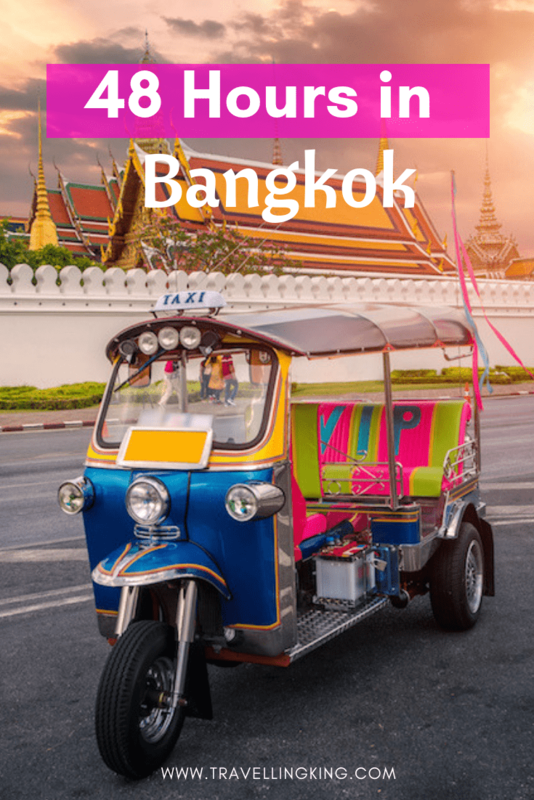 With only 48 hours in which to see Bangkok, despite the ease of using public transport, you may find it easiest to arrange a tour to really maximise your time in the city. Of course, a Tuk-Tuk tour can be the most exciting way to experience all the sights, sounds and smells of Bangkok. There are also a lot of great bicycle tours that traverse the city. These can be an excellent way to get a bit of exercise and see all the major attractions (make to put on lots of sunscreen). 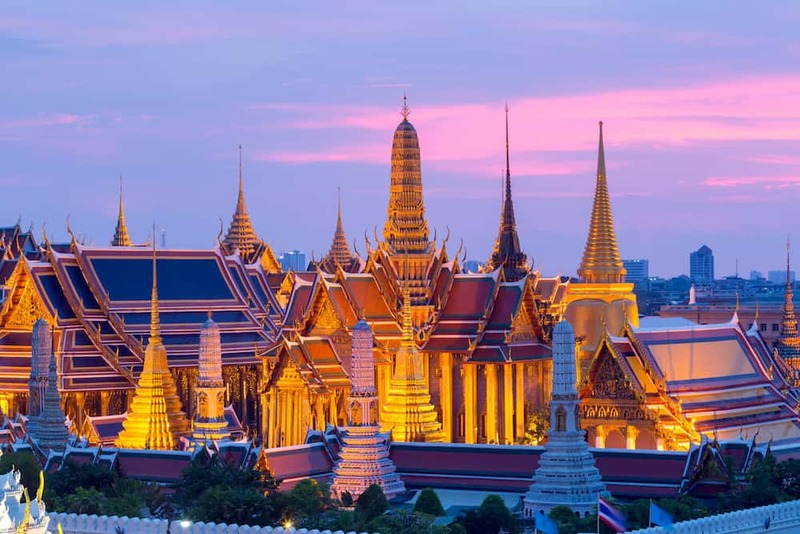 The temples and in places such as the Grand Palace, can be enjoyed having a local Bangkok travel guide to show you around, to explain the cultural quirks and to point out interesting facts and stories. Guides can be inexpensive, make sure to arrange someone in advance, through a reputable company such as “Tour with Tong“, as there are a great a few unlicensed guides on the streets of Bangkok, looking to part you from your money in a few different ways.